Home / Celebrities Gist / Wow! Davido Has A Twin Brother? Wow! Davido Has A Twin Brother? We have finally found popular Nigerian singer, Davido's long lost twin. Lolz! Just kidding, his lookalike. The resemblance is uncanny, he could actually pass off as Davido's blood brother. The Davido's lookalike known as Gabriel Onyekachi Onwubuchi commonly known Gabnenny is also a musician and the owner of Fresh "G" Concept & Entertainment Music (F. C. E) Record company, speaking of coincidence. I think Davido's fans would be thrilled to see them both do a song and video together. Don't you think so? 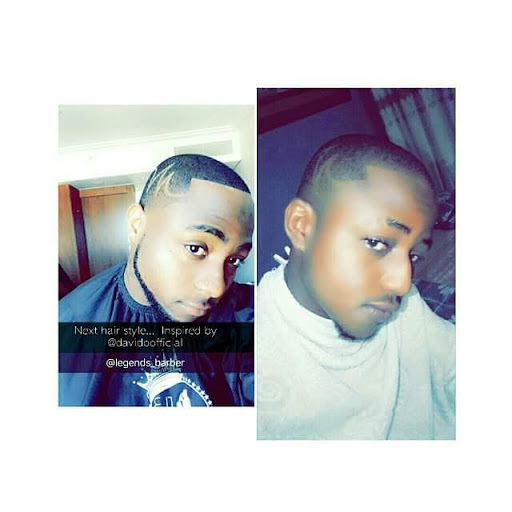 I would advise Davido to locate this lookalike of his @gabnenny, who knows, they could actually be related.